Did You Miss the EuroAmerican Multispecialty Summit Feb. 11-14, 2015? 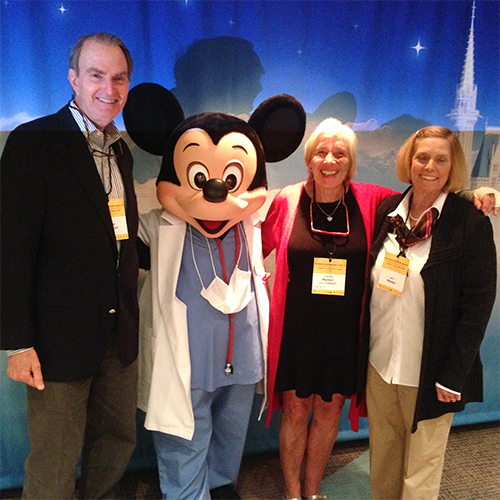 (from left to right) Dr. Paul Wetter, ‘Dr.’ Mickey Mouse, Dr. Liselotte Mettler, and Janis Wetter pose at the 7th Annual EuroAmerican MultiSpecialty Summit held at Disney’s Contemporary Resort© in Orlando, Florida, USA. The meeting was held at the Contemporary Hotel in Disney World from February 11 to February 14, 2015. It was attended by hundreds of SLS members. The facility was excellent with easy access to the conference room and all the entertainment attractions that Disney World has to offer. We were pleased by the number of positive comments about the Summit. The Opening Ceremony was well received with a very entertaining show by two comedians. The debriefing session at the end of the meeting was informative and educational. Many participants requested a longer mini laparoscopy session. The video session was also well received. The live telesurgery presentation was flawless as described by some of the participants. Dr. Paul Wetter received special comments in an enlightening session, especially from people who have not seen this presentation before. The Spanish session had lively discussions. Most presenters had the slides in Spanish; however some had theirs in English. In addition, an innovative panel discussion held at the summit was very informative. It consisted of three panelists, two moderators and previously designed questions with audience participation. The sessions on Friday, February 13th were well balanced with a good mix of cultural and scientific presentations. The Surgical Surprises session continued to be very popular resulting in good attendance and excellent discussions. The session also received many favorable comments and was one of the highlights of the meeting. There were also favorable comments in regards to the value of sharing international experiences and the benefits of seeing how surgical procedures are done in other countries. Gustavo Stringel, MD, is Professor of Surgery and Pediatrics at New York Medical College, Attending Surgeon at Westchester Medical Center, and Surgeon in Chief at the Maria Fareri Children’s Hospital in Valhalla, New York. 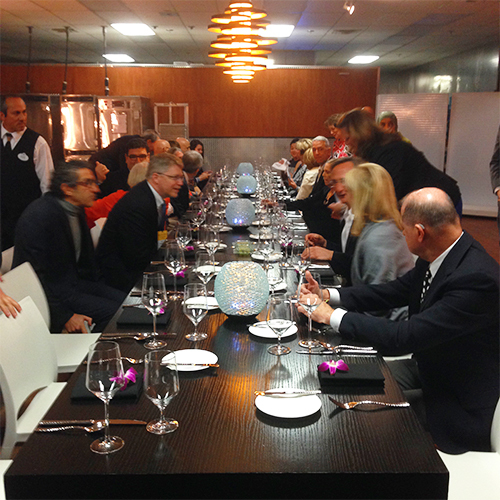 The Board of Directors enjoyed an entertaining dinner in the Chef’s kitchen of Disney’s Contemporary Report© on Friday evening at the 7th Annual EuroAmerican MultiSpecialty Summit hosted by SLS.